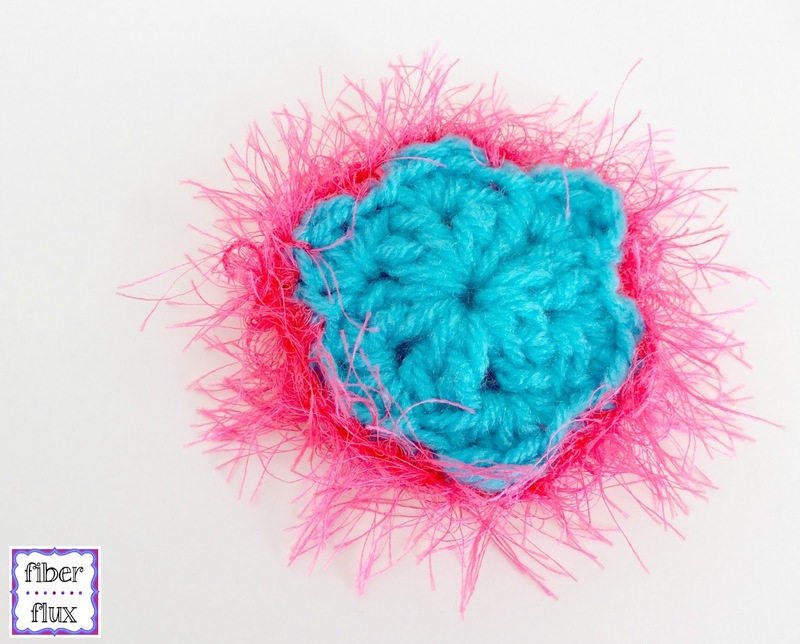 Fiber Flux: Free Crochet Pattern...Fuzzy Flower Appliques! 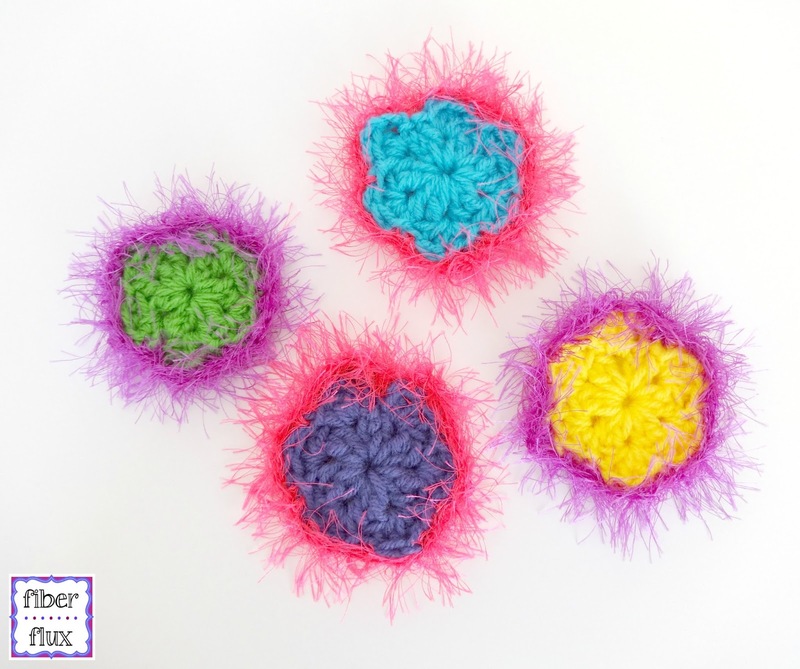 Free Crochet Pattern...Fuzzy Flower Appliques! If you are craving something fun and bright, these appliques will add a pop of color to any gray day! 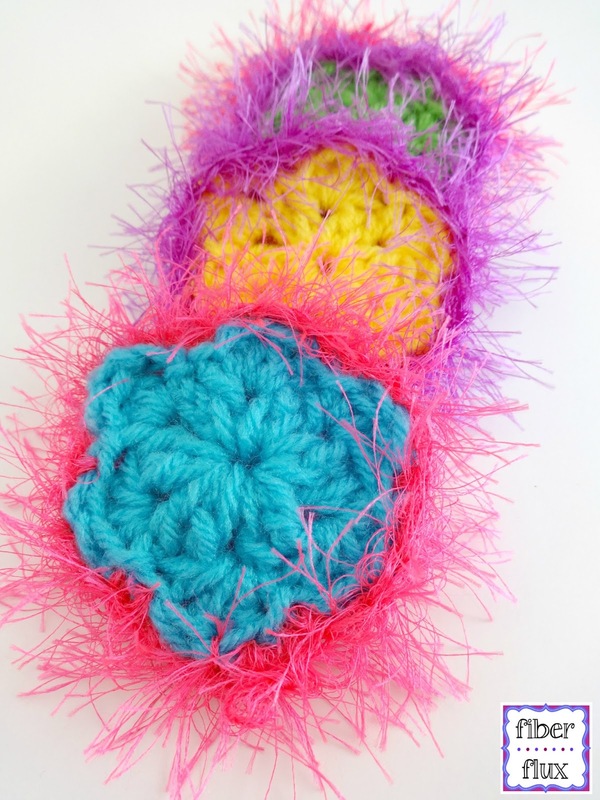 Crocheted in worsted weight yarn and edged with neon eyelash yarn, these fabulously funky flowers are cute on a hat, scarf, backpack, or headband! 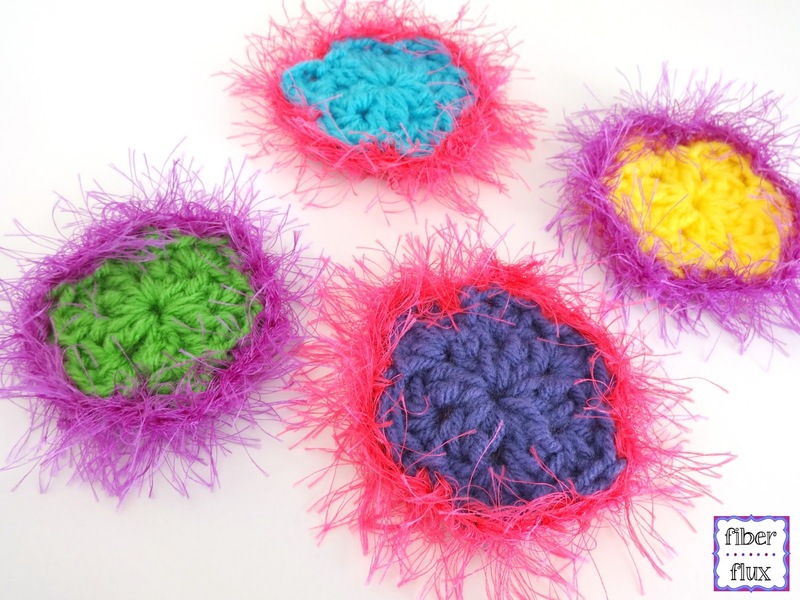 Made with worsted weight yarn and J hook, each flower measure approximately 3-3.5 inches across. Sizing can vary a bit because the fuzzy nature of the yarn. Sizing will vary too if different hooks and yarn weights are used. With worsted weight yarn, ch 4 and join with a slip stitch to form a ring. Round 3: With eyelash yarn, tie onto any stitch and ch 1. Work a sc in the back loop only (blo) of each stitch all the way around the flower. Join with a sl st to close round and fasten off. (see video below to learn how to work into the back loop only (blo) of a stitch. Weave in all ends and you're finished! Use as an applique, glue to a pin or headband for a super fun accessory. What a beautiful flower! I would love to feature this pattern on my blog if that is ok!